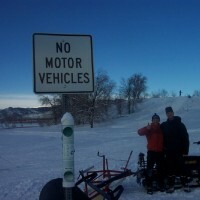 Here’s summary news of what’s going on around the Boulder Nordic Club. Details regarding all of the items below will follow over the the coming autumn. Thank you, members and supporters, for making all these things possible. The Boulder Nordic Club is switching to an annual, October to October membership term. Think of it as a season pass. Memberships may still be purchased at any time during the year. Members will be emailed their membership card in electronic form. That virtual membership card may then be kept on one’s phone or printed out. Email delivery of the card will follow one’s membership purchase almost immediately. (That’s the plan at least.) Join anytime at https://bouldernordic.org/. Initial conversations with Eldora Mountain Resort under its new ownership, Powdr Corporation, have been positive, if not very positive in regards to nordic skiing at Eldora. In order to maintain the constructive tone, the BNC is working on its own and with other entities in the community to continue to engage Eldora in a collaborative and practical manner with the hope of incrementally supporting and improving nordic at Eldora. Sometime soon, the BNC will initiate a fundraising campaign in order to raise funds to purchase a new trailer for the purpose of housing and transporting the CU South grooming rig. The objective of this campaign will be $7,500. Each dollar donated will be matched by a dollar from the BNC’s existing treasury. The overall goal of the campaign is to fix problems with operations, storage, and protecting volunteers from overwork. Thanks to the University of Colorado – Boulder for its continued partnership in grooming CU South. Two social skiing opportunities are planned for this coming season. One will take place roughly weekly on a week day afternoon. The second will take place less frequently and on a weekend day. The default location for both will be Eldora but, especially depending on conditions, other locations may be possible from time to time. Details to follow. Thank you for taking the BNC’s survey this past spring! The responses are being analyzed by a few board members who do similar work in their professional lives. The goal is to use the information within the responses to the best extent possible for the BNC and its members. Already, information contained in the responses is informing the topics that the BNC hopes to share with Eldora in terms of ways to improve the nordic center. The BNC continues to consider two pilot grooming sites. One is not being named out of respect for ongoing negotiations. The other, West Mag(nolia), was originally proposed to the BNC by The Nederland Area Trails Organization (NATO) as a collaboration between the BNC and NATO. So, the BNC is consulting with NATO following the recent USFS decision that will allow grooming in certain areas of West Mag. The BNC came to this dance with NATO and it’s sticking with NATO. That’s a lot of news. As more information becomes available on each of these subjects, the BNC will continue to communicate updates. 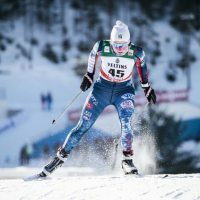 Also, remember, news posts like this one on bouldernordic.org are automatically gathered and placed in an end-of-month e-newsletter. The first such e-newsletter will go out in just a couple days and be routed to the existing email list. One can control one’s preferences using links contained within each e-newsletter. Thanks for supporting the BNC and have a great autumn!